Bridgette Came to me from Edmonton! She would sit 2 days in a row, sometimes doing 12hrs in 2 days. We accomplished this in 8 months. Truly dedicated. Thank you Bridgette for this amazing opportunity and development as an artist. 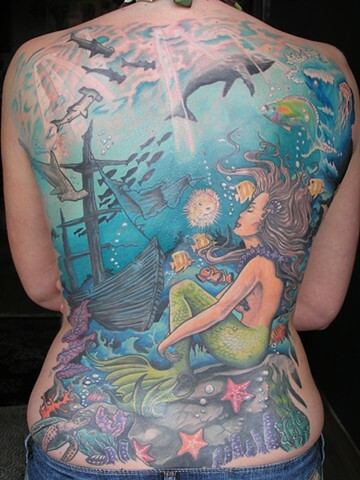 The mermaid was from artwork she provided.